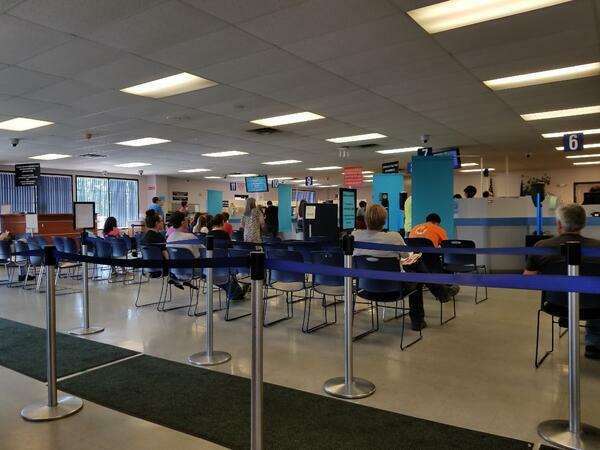 If the thought of a DMV visit feels like an obstacle course that’s set up just for you to fail, you’ve come to the right place. As promised, The Next Street is still working diligently at maneuvering through each office in Connecticut; stick with us and your next trip to the Willimantic Department of Motor Vehicles will be a joy ride. I recently stopped by the Willimantic DMV office. Like many other DMV offices around the state the building is non-descript. The location is nuzzled between a True Value Hardware store and Papa’s Pizza. The parking area is a decent size with parking in the front and back of the building. If you plan on coming to this location, be sure to leave yourself ample time to drive around and find an appropriate parking spot because on busy days those spots might fill up quickly. There is a designated parking area for people who are taking their road test. I arrived at approximately 3:00 and the office was fairly busy, like most DMV’s are towards the end of the work day. When you walk in there is an employee sitting at the front door to greet you. Be sure to grab a ticket at the door, which will let you know what your place in line is. If you are checking in for your road test, you’ll be going to windows 8 or 9. There are a good amount of chairs for you to wait in until they call your number. 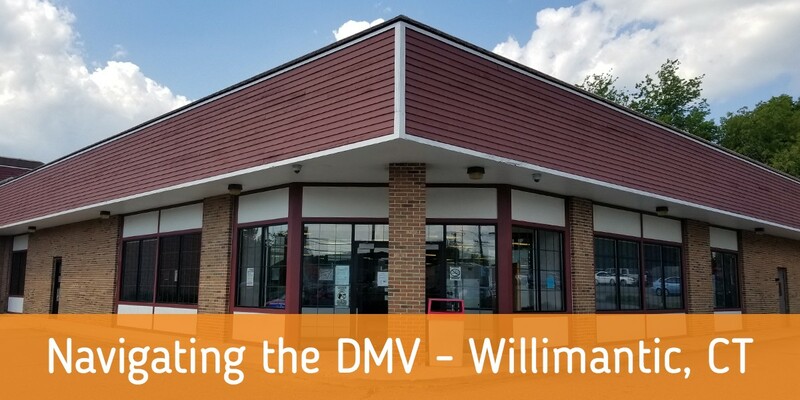 The Willimantic office can help customers with all vehicle and boat registration services, all Driver's License services (including out-of-state license transfers), testing (Knowledge, Road and Vision), Learner's Permits, name changes on DMV documents, duplicates of DMV documents, Non-Driver ID Cards, and Disabled Parking Permits. While the DMV might not be at the top of people's favorite places list, it is where you have to go to pick up your license. Luckily, with The Next Street's testing options, you can minimize your time spent there.